Paul Capsis is a unicum and the versatility that has informed the myriad of his incarnations over the last nearly four decades make him a jack-of-all-trades. No matter if it’s within the realm of cabaret, burlesque, acting or theatre, the man is one of those rare entertainers that shines no matter what scenario he performs in. The current Sydney Festival saw him joining forces with Jethro Woodward and The Fitzroy Youth Orchestra and the fact that this collaboration is based on a mutual understanding of each other’s fortes pervaded through the evening, framed by the beautiful surroundings of the Spiegeltent, the annual emergence of which makes Hyde Park the epicenter of Sydney Festival. The show was aimed at being an extravaganza of full tilt boogie rock with diverse material ranging from Led Zeppelin via Joan Baez, Patti Smith, Tom Waits, Janis Joplin, Lana Del Ray, The Suicide to even Childish Gambino. 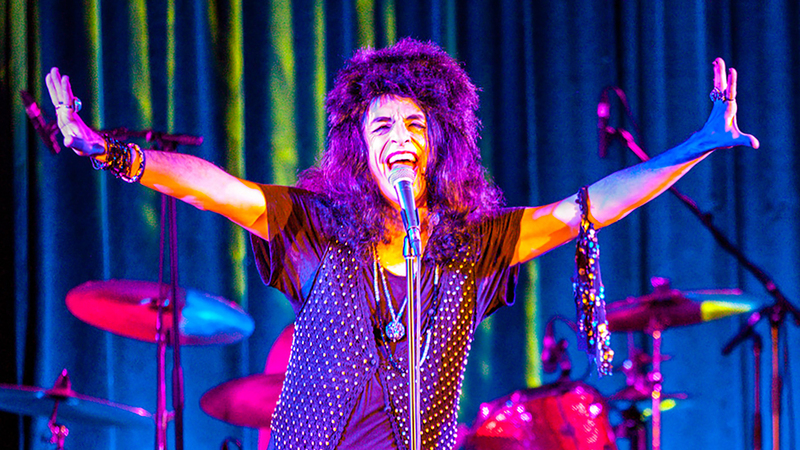 The show was much more than a mere exercise in covering songs - Paul Capsis infused the originals with his own idiosyncratic camp approach and wardrobe, and it was a delight to see his very own interpretations, which were often interestingly dark, twisted and always emotional with a tinge of cabaret added for good measure. Needless to say that the eclectic show was peppered with anecdotes, musings on the need to be and a bit of social and political commentary on both local and global issues, which substantiated the performance with personal connections. The Fitzroy Youth Orchestra added a nice counterpoint to the maestro, whose eighty-minute tour de force performance and range were testament to his legacy and longevity.